The public is looking at how FIFA's global sponsors will behave in the wake of grave corruption charges against the group's officials. Angry soccer fans all over the globe may want swift justice for FIFA executives indicted by US authorities on corruption charges this week. However, the global brands sponsoring the World Cup should emphasize ethics to the group, all while deliberately considering their long-term options, experts tell PRWeek. Companies including Visa, Coca-Cola, and McDonalds are pondering their next move after 14 people, including eight current and former FIFA executives, were indicted by US law-enforcement officials on Wednesday on corruption charges. Both American and Swiss authorities are further investigating the organization. 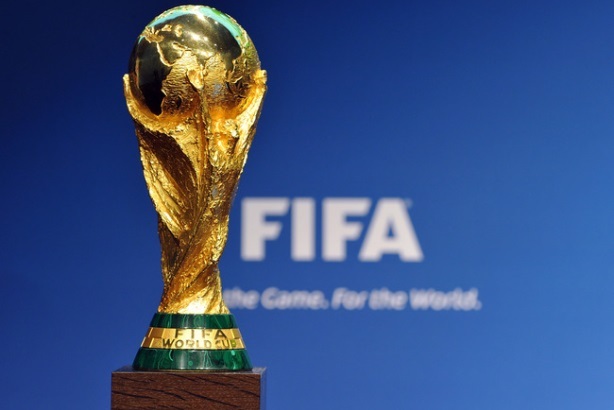 Swiss officials are looking into FIFA’s controversial decision to award the 2018 and 2022 World Cups to Russia and Qatar, respectively. The pressure is also on sponsors, which have millions of dollars at stake in their FIFA sponsorships, to make the right decision. They should push FIFA to put sweeping changes into place and not leave them hanging with empty promises, says Jason Blake, VP of MEC Access, MEC’s sports and entertainment division. While none of FIFA’s partners have been directly connected to corruption allegations, another brand – Nike – has its own crisis. The Wall Street Journal notes that the Justice Department’s indictment cited "a multinational sportswear company headquartered in the United States" linked to a contract with Brazil’s national team." Nike tells the Journal that "it is concerned by the allegations and is cooperating with the investigation." He adds that brands should apply pressure both publicly and privately, doing the latter so fans and consumers can see they do not condone what is alleged to be more than two decades of corruption at FIFA. "If a sponsor doesn’t come out and show their feelings – their feelings being that they need to partner with upstanding citizens and sports properties – it could absolutely have a negative impact," he explains. Blake adds that brands should get the benefit of the doubt when it comes to timing, because few foresaw Wednesday’s arrests ahead of time. He says marketers should "have a parallel path looking at alternative ways to invest marketing dollars," such as sponsoring individual players or teams. Five brands – Adidas, Coca-Cola, Russian oil giant Gazprom, Hyundai, and Visa – are listed as FIFA partners on the organization’s website. Budweiser and McDonald’s are World Cup sponsors. For its part, FIFA is attempting to manage crisis communications on its own, saying Wednesday that it has not brought on an outside firm to help with the situation. Brands could also benefit from talking to each other about the best course of action, provided they’re not competitors, notes Peter Land, who held senior communications roles with the NBA and PepsiCo. "I think there’s some wisdom in identifying if there’s power in collective response, or if there’s a similar response from each of the sponsors," he says. On the flipside, brands may want to explore using the "first out of the gate" strategy or being more outspoken than other sponsors. Visa seems to have taken that approach. After Wednesday’s events, it says it is considering pulling its sponsorship, which runs through 2022. The company did not immediately respond to comment from PRWeek. However, in a statement, it expresses grave concern with the organization. "Our disappointment and concern with FIFA in light of today’s developments is profound," it says. "As a sponsor, we expect FIFA to take swift and immediate steps to address these issues within its organization. This starts with rebuilding a culture with strong ethical practices in order to restore the reputation of the games for fans everywhere." "Sometimes, the companies that come out first are pretty aggressive and will pull the others along," says Land. He notes that sponsors get involved with FIFA in the first place because of soccer’s millions of fans around the world, and that’s not something that’s easy for them to leave behind. Yet Solomon McCown CEO Helene Solomon says it’s not irresponsible for brands to wait and observe the situation, given how much is still at stake. "Brands take their cues from consumers," she adds, noting that companies could react differently if they see a change in public perception. The charges against soccer’s international body are wide-ranging. The Justice Department alleges corruption schemes have taken place at FIFA for 24 years, though the organization’s spokesman denied that at a Wednesday press conference. FIFA’s response has not wowed communicators. Many took to Twitter on Wednesday to say they didn’t buy FIFA comms and public affairs director Walter De Gregorio’s positive take on the day’s events. FIFA president Sepp Blatter made his first public comments on the matter on Thursday, saying the group will work to root out corruption. That statement got a similar response from PR pros and journalists. Some observers are convinced sponsors will do nothing about the scandal. Journalist David Conn of The Guardian said on Sky News on Thursday that it’s unlikely any sponsors will pull out. "I don’t see the sponsors as any sort of key," he says, noting that they have to condemn corruption for public-perception purposes. "I don’t recall a sponsor withdrawing in the past four or five years." Brand sponsors should prioritize "restating and making sure people know their own commitment to ethical practices" in the wake of the scandal, says Nick Kalm, founder and president of Reputation Partners. A number already have. Adidas says in a statement that it is "fully committed to creating a culture that promotes the highest standards of ethics and compliance, and we expect the same from our partners." Coca-Cola notes that "this lengthy controversy has tarnished the mission and ideals of the FIFA World Cup, and we have repeatedly expressed our concerns about these serious allegations." Hyundai, the parent company of Kia, says it "places the highest priority on ethical standards and transparency [and is] extremely concerned about the legal proceedings being taken against certain FIFA executives, and will continue to monitor the situation closely." However, Russia-based Gazprom is shrugging off the scandal, saying it doesn’t affect the sponsorship. Brands should also consider conducting perception studies, polling, or focus groups to gauge changes in consumer sentiment, Kalm adds. He compares FIFA’s crisis to "peeling an onion," saying there could be more layers to the organization’s trouble. Visa threatens to pull FIFA sponsorship: Will other brands follow suit?